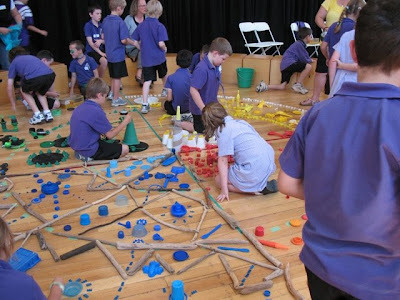 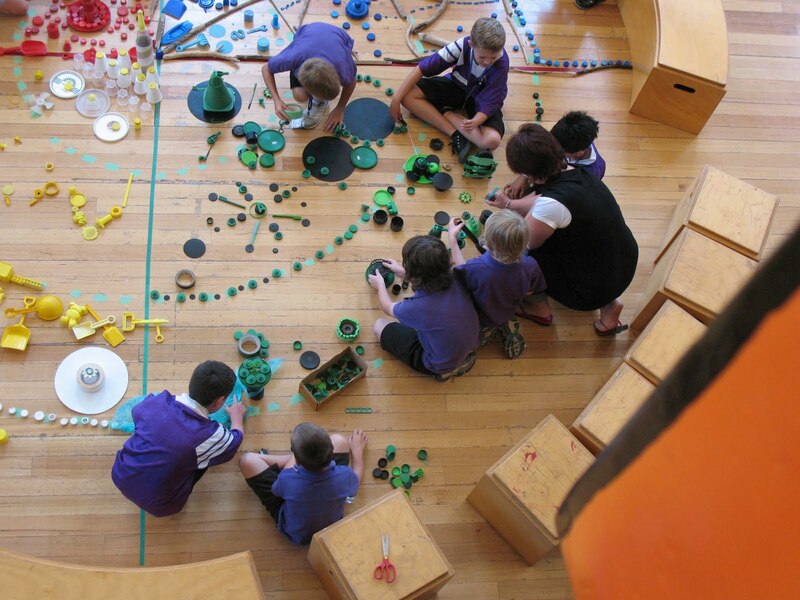 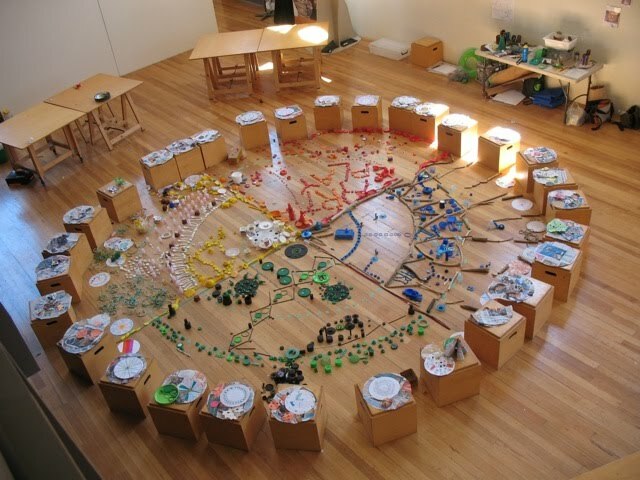 By engaging with ideas surrounding current environmental concerns, the Slow Art Collective provided an opportunity for young children to investigate their life style. 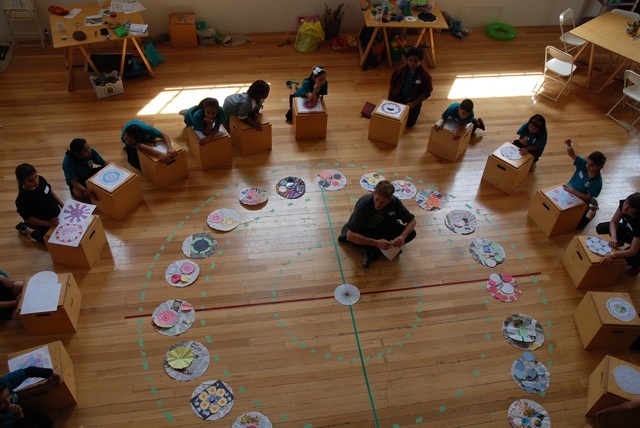 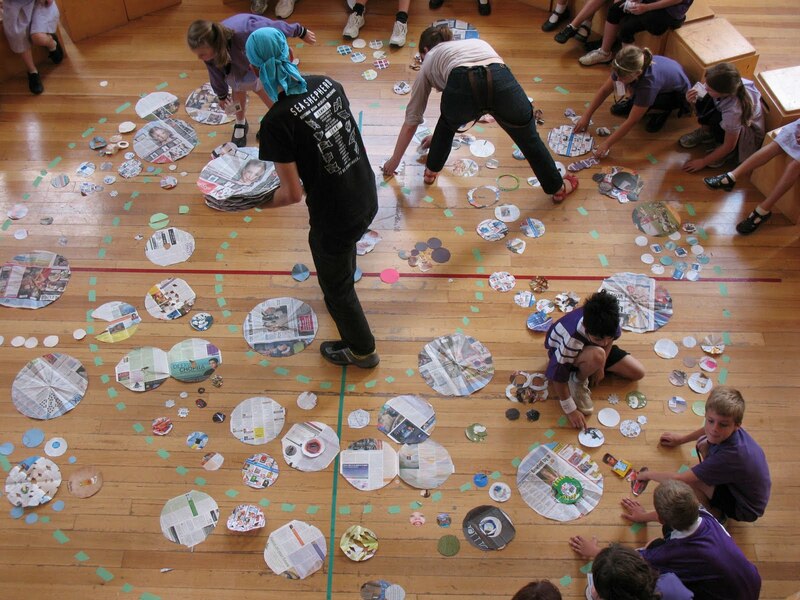 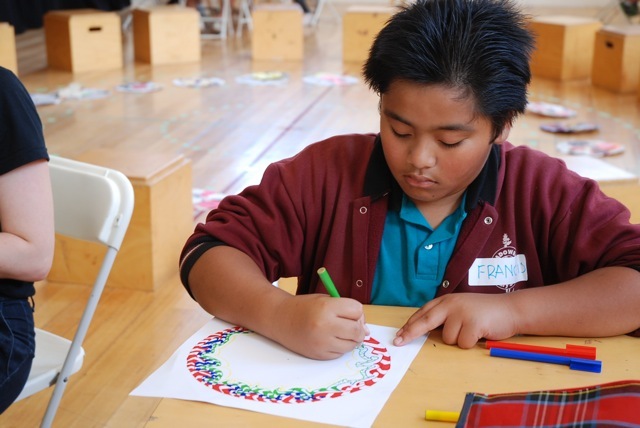 Four Seasons with SAC consisted of 4 workshops within an environmentally-focused art project that utilised diverse media. 1. 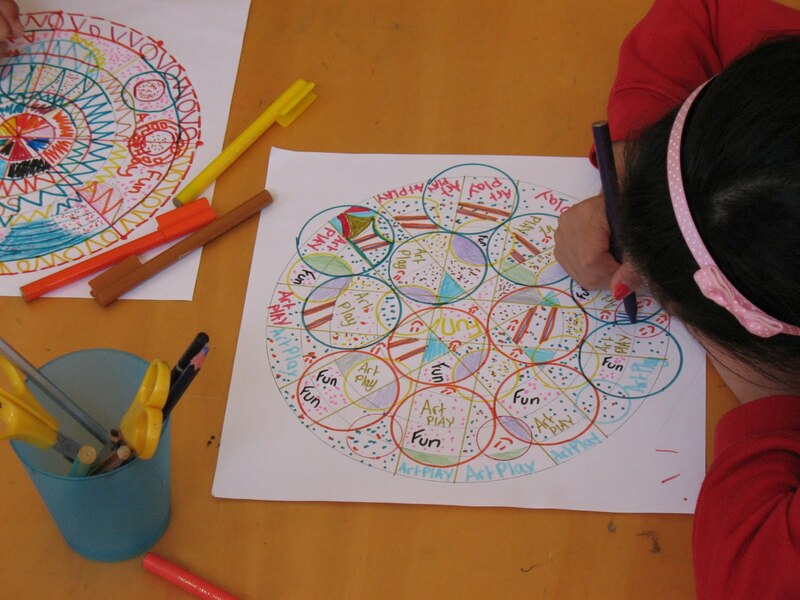 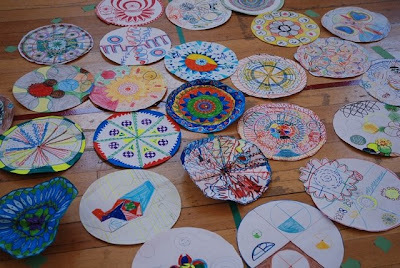 Mandala Workshops with Tony Adams - using recycled colourful plastics. 2. Veggie art and Compost Workshops with Chaco Kato - using fruit & veggies, and recycled PET bottles. 3. Triangle and Polygon Workshops with Dylan Martorell - using bamboo, carrots, tapioca and toothpicks. 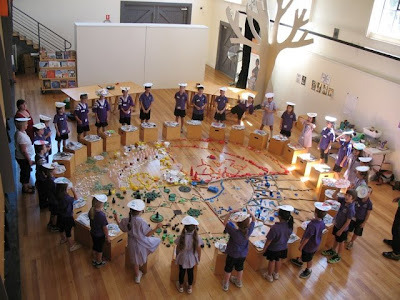 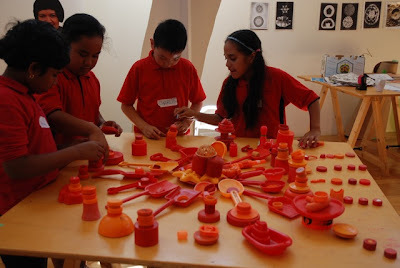 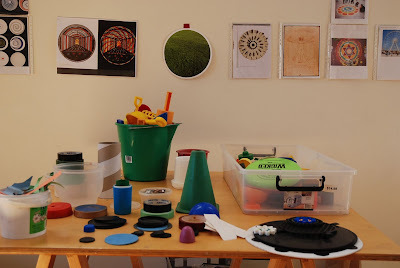 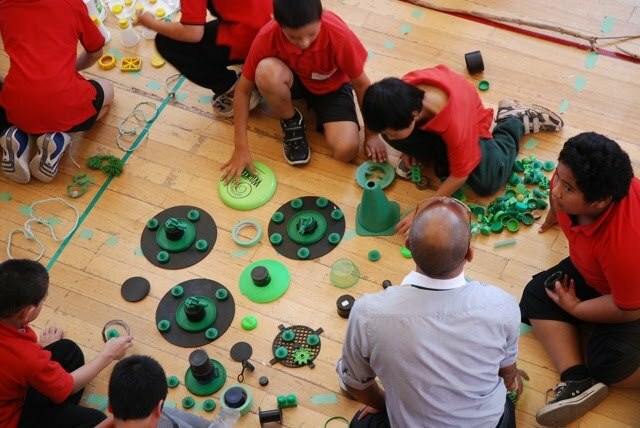 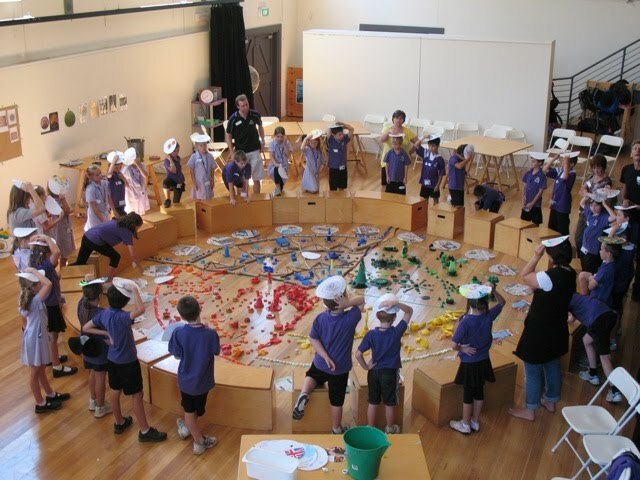 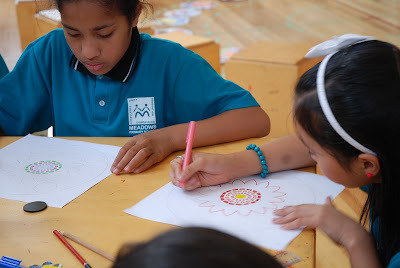 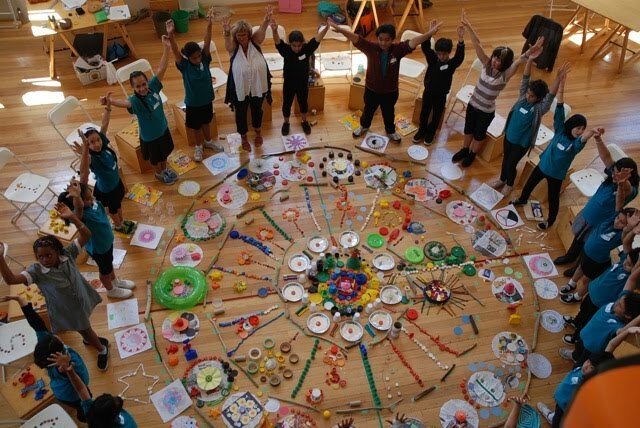 Through the engagement of various 2-D and 3-D processes, this series of hands-on workshops aimed to explore the form and colour of discarded plastic detritus, through the creation of a range of mandalas. 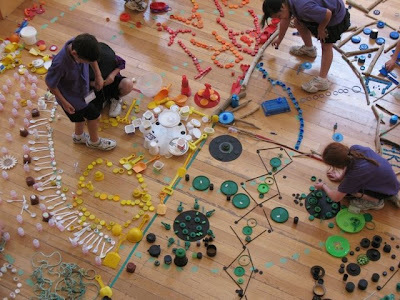 Waste as an artistic medium, not only presents a resourceful approach to art-making, but has been inspirational to artists for decades. 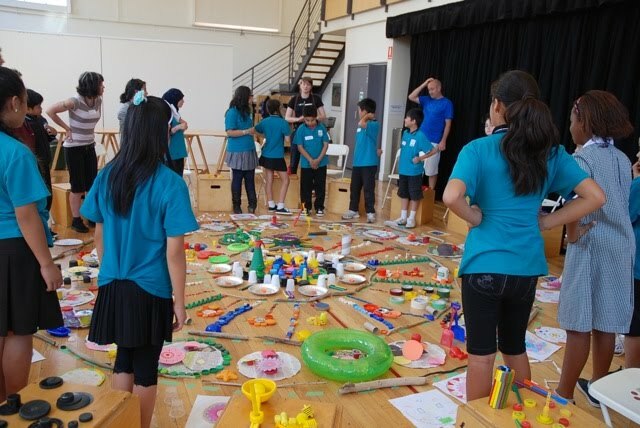 These workshops aimed to inspire participants to explore creative possibilities of using discarded everyday objects within an art context.